For your relaxation, this orchid plant combine with other exotic greenery are placed in a handsome container. 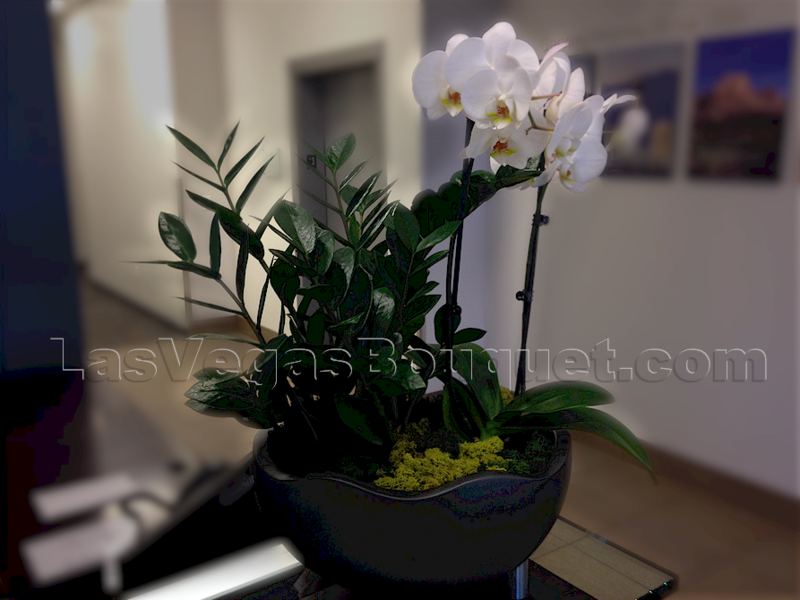 Includes orchids plants accented with moss and other decoration. Very elegant, perfect for grand opening, congratulation or any celebration at home or office. Container and blooms # may vary depends on availability.